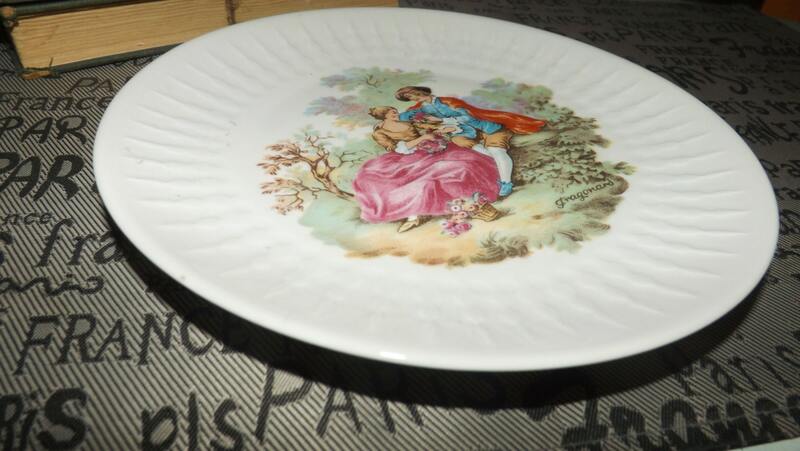 Vintage (1960s) Limoges | F.D. 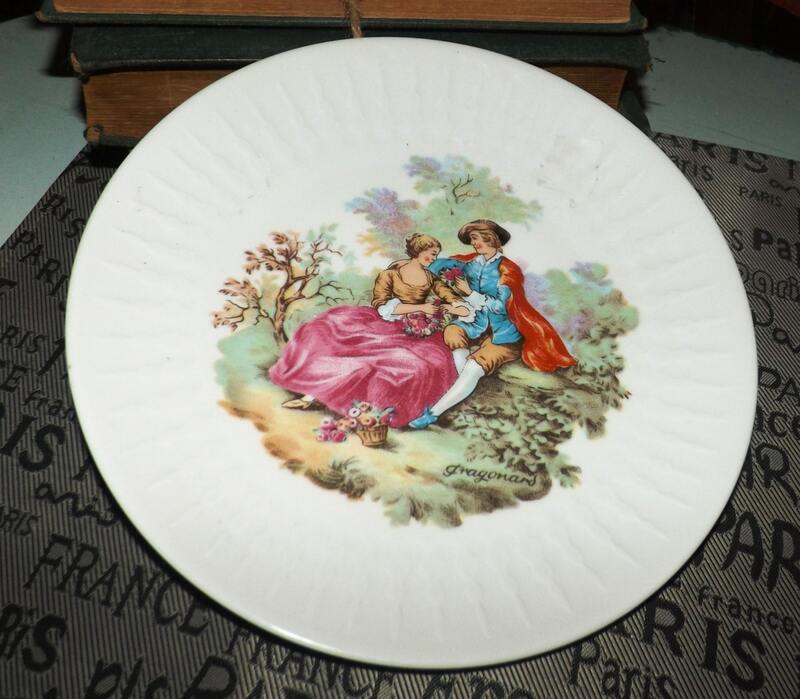 Chauvigny hand-painted, signed dessert plate based on the works of Jean-Honore Fragonard's (1732-1806) Courting Couples \ Lovers in period dress with a ribbed verge. In EXCELLENT! condition with NO! chips, nicks, cracks, or fleabites, NO! crazing and NO! marks, stains, scratches or other signs of use or wear. 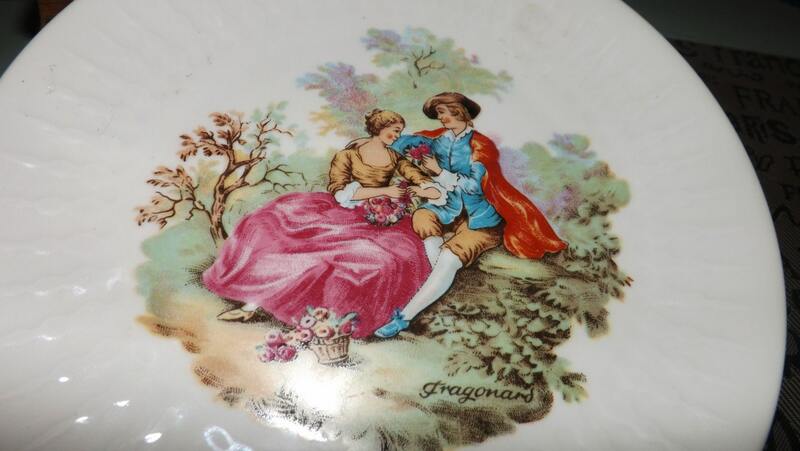 The central image of the period-dress lovers is bright and vivid with NO! fading and the signature - FRAGONARD - appearing bottom right is still completely legible with NO! fading or marring. 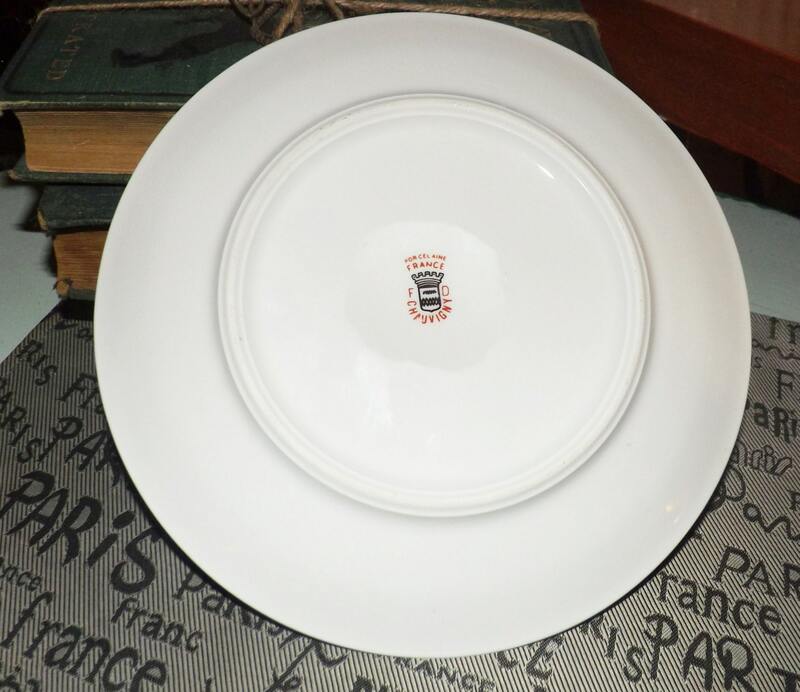 Approximate measurements: 8" in diameter (measured edge to edge).